Transform your business’s vehicles into vibrant advertising mediums with custom auto vinyl graphics that constantly expose your brand, products and services to thousands of customers throughout the Austin area. SpeedPro Imaging Austin has the knowledge, resources and experience to take on your job, no matter the difficulty. We’ve been helping local businesses for more than 12 years, and we’ll gladly make you the next. 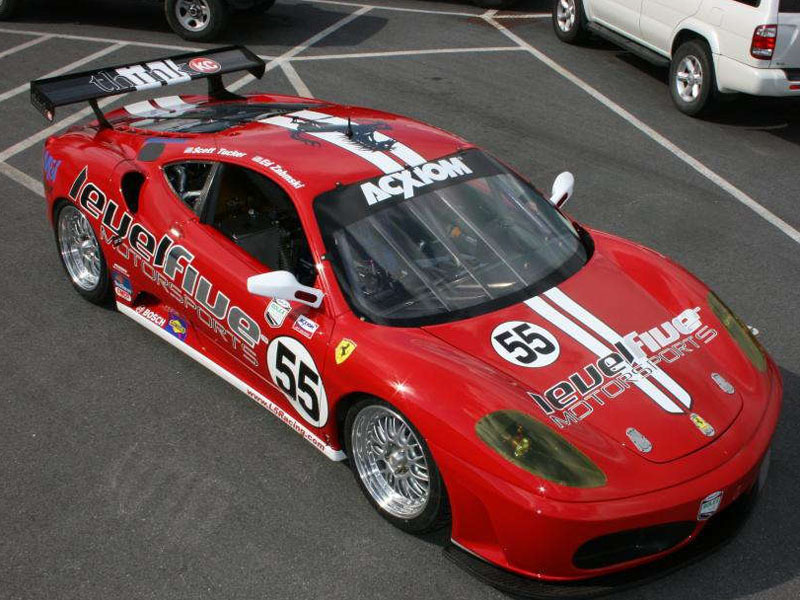 Why Choose Custom Vehicle Graphics? 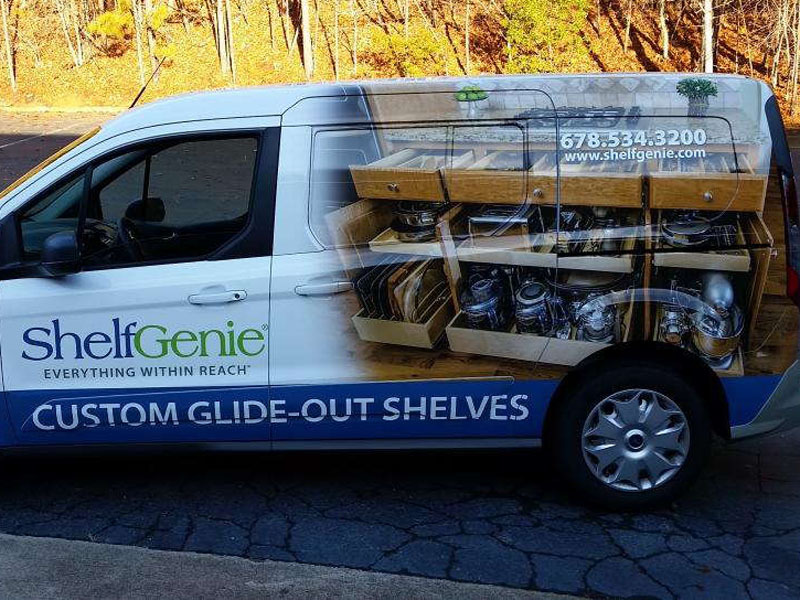 Vehicle lettering and graphics provide a host of benefits to visual marketing strategies, many of which can’t be matched. First and foremost, most people make an effort to see mobile advertising efforts. 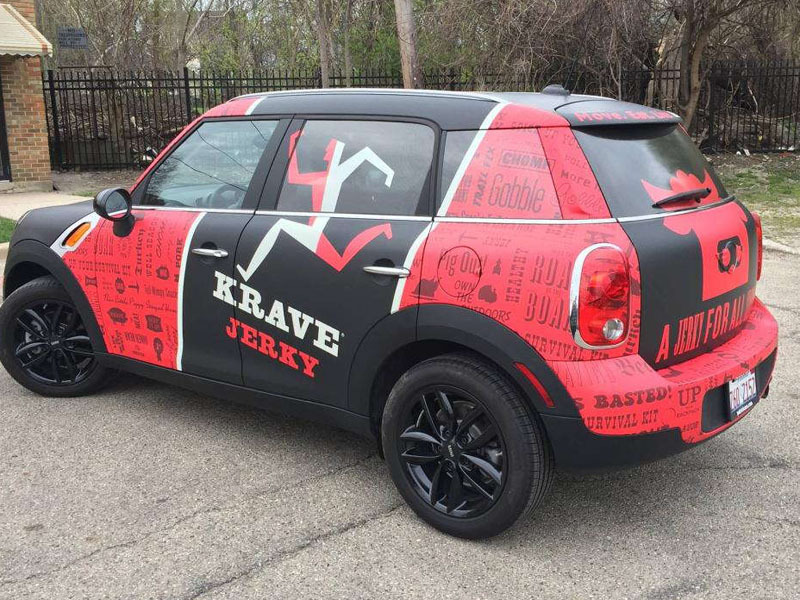 Research has shown that wraps and other graphics have the potential to generate up to 70,000 impressions per day and an average of 8.4 million over a 12-month period. About 97 percent of drivers have reported that they’re more likely to remember products and services that are displayed on vehicle graphics, and 27 percent say they’ll purchase products based on those graphics. Everything is bigger in Texas, and our custom vehicle graphics are no exception to that well-known adage. We can work with practically all types of cars, trucks, vans and more, which means it’s highly unlikely that you’ll leave our studio disappointed. We’re committed to ensuring your satisfaction and providing you with a process that’s streamlined and stress-free. Our friendly and attentive staff has been doing this for more than a decade, so we’re equipped with the expertise to come up with efficient solutions to your problems. Our in-depth consultation at the beginning our partnership will set the stage for your project. We’ll learn every pertinent detail, take your preferences into account and offer recommendations that align with them. One of the most popular options is the full wrap, which coats your vehicle from bumper to bumper with your logo, messages and other images. You’ll have a 3D billboard that’s effectively advertising your brand 24/7 with no added cost to you. Partial wraps offer similar benefits while remaining cost-friendly. While they only cover certain areas, we create them in a way that maximizes their impact. You can also select from standalone decals, lettering and window clings! All of our products are created using state-of-the-art printing technology and industry-leading products. With durable materials and long-life, UV-resistant inks, your graphics will remain colorful and intact for years! We offer repairs and touch-ups in case they were ever to sustain damage. Our predictive software can offer a glance at your new investment once it’s ready. We’ll create a digital rendering on one of the many vehicle templates we have on file, and from there, you can offer valuable feedback and request changes prior to the printing process. Contact us today to arrange your consultation! You can also visit our studio, which is located on Promontory Point Drive, just off of Burleson Road, near Route 71 in Austin.